This Mother's Day, you'll find the perfect way to treat mom in Abingdon. Take her to a farm to table brunch, rejuvenating yoga, an outdoor concert, or a play at Barter Theatre. Can't decide what she'd like best? Choose all of the above and spend the weekend in Abingdon. Is mom feeling a little stressed? Start the day with a restorative yoga class at Whitetop Yoga. From the website: "We believe yoga is not a place to escape your life, but rather to learn how to get more deeply into your life with the support of others curious to do the same." Mom will love seeing a show at Barter Theatre, the state theatre of Virginia. Choose from two different experiences: the beautiful Gilliam Stage, with its classic proscenium stage, opulent furnishings and renovated lobby with gift shop, or Barter Stage II, patrons can experience a more intimate space that is home to edgier new works, as well as the Barter Players children's theatre. Mothers Day brunch is a tradition for a reason: linger over your meal and get more quality time with mom while you're at it. 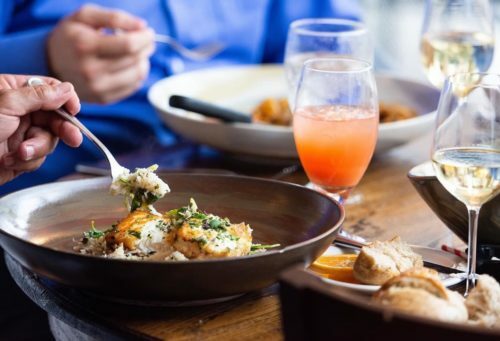 Whether you prefer mimosas at The Martha or farm-fresh omelettes at The Harvest Table, you'll find plenty of great brunch options in Abingdon. After all, this little town has over 34 independently owned restaurants - that's more restaurants per capita than New York City! Pro tip: Mothers Day is one of the most popular days of the year in Abingdon's restaurants, so be sure to call ahead for reservations. Visitors love historic downtown Abingdon for its ambiance and its unique shopping. Walk the brick sidewalks of the 20-block historic district and you'll find architecture spanning two centuries, from The Tavern, built in 1799, to classic small-town American storefronts. Head to Courthouse Hill for a great selection of shopping and art galleries. Try The Gallery at Barr Photographics for original photography and paintings, and then head next door to do a tasting at the Abingdon Olive Oil Company.